Is It Gross to Thrift Shoes? 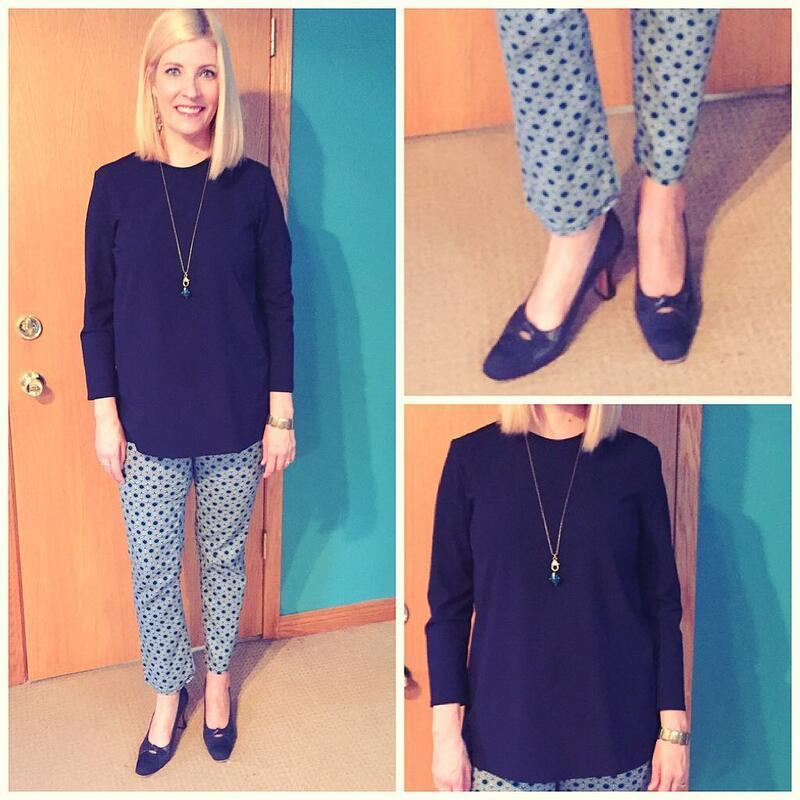 New thrifters and even seasoned second hand shoppers often have hesitations about buying shoes from the thrift shop. I think you can guess my answer, but let’s talk about this: Is it gross to thrift shoes? 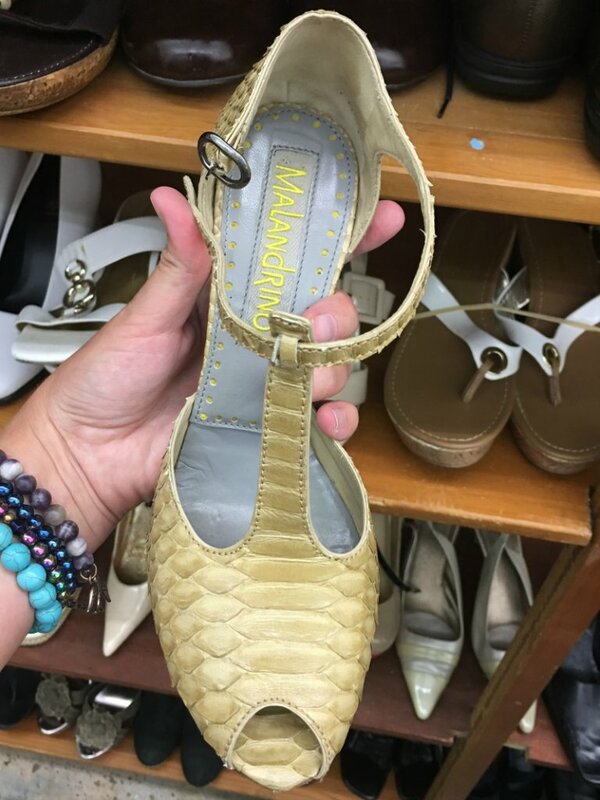 The shoes section at the thrift store is my FAVE! Why should you thrift shoes? It’s true, most shoes cannot be thrown in the washing machine, but we will talk about how to clean your shoes later. 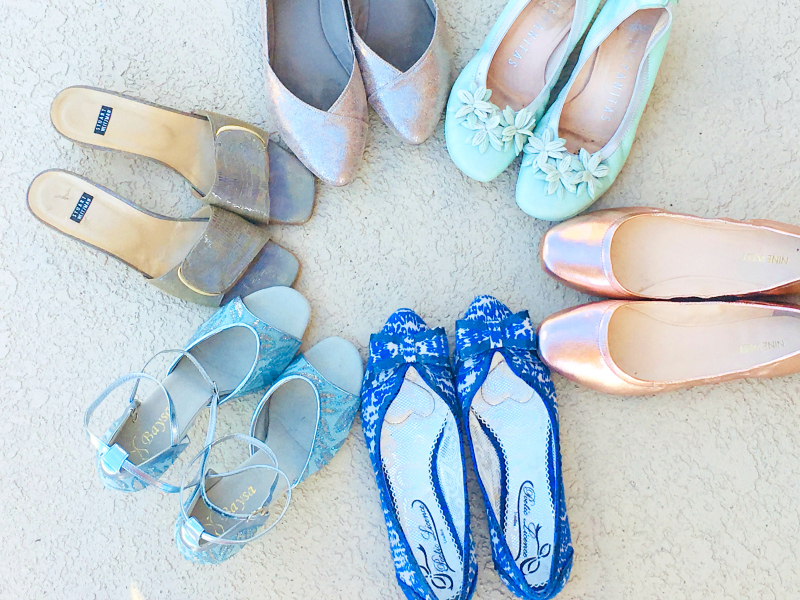 Before we do, let me share one more reason to thrift shoes: you can save a ton of money! B.T. (Before Thrifting), I had a small collection of shoes comprised of a sturdy pair of winter boots, a fashionable pair of winter boots that I splurged on, a brown and black pair of sensible shoes, and a few pairs of cute but low-quality stylish shoes because that’s all I could afford. In case you aren’t aware, I have bad feet; I have had large bunions since my twenties when I did a lot of walking in Montreal and Seoul. My bunions are not caused by bad shoes but rather are the result of my genetics – nice eyes and bad feet run in the family! That being said, crappy shoes certainly don’t help matters. I did have bunion surgery on my left foot and since then have had to be even more careful with footwear but what I want to point out is this: thrifting has allowed me to get shoes that I would otherwise be unable to buy, and that includes both high quality footwear and cute shoes that I only wear occasionally to compliment an outfit. 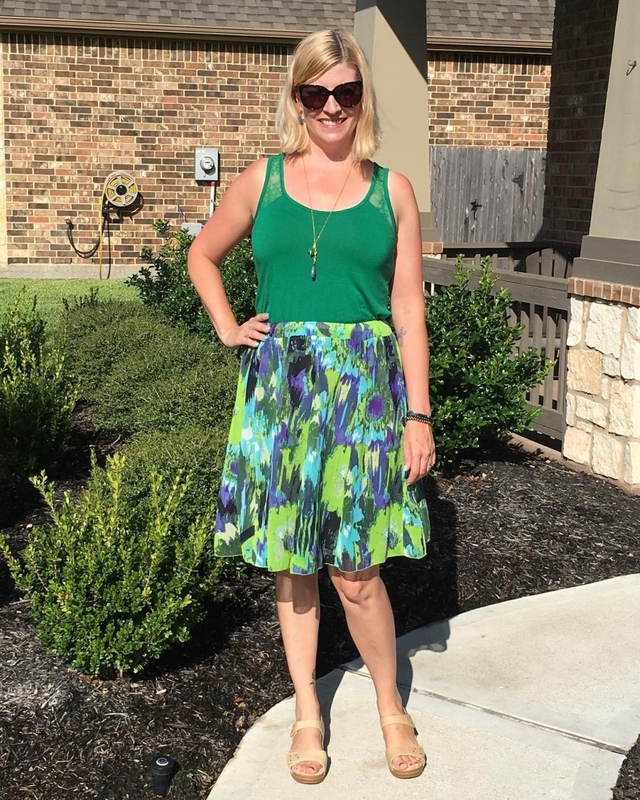 I’m wearing Dansko sandals here – renowned for their support and quality. 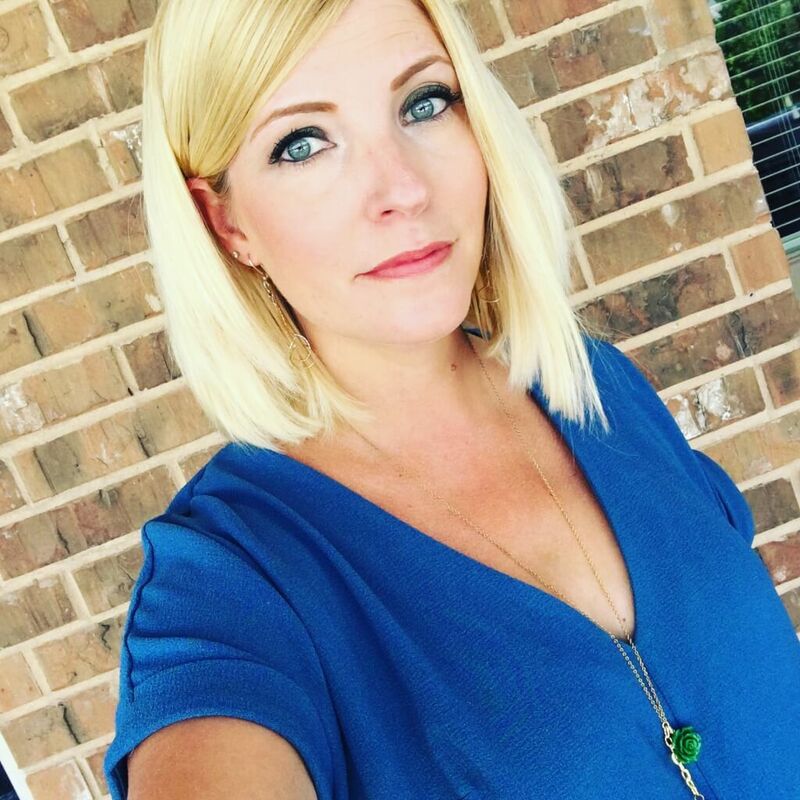 I have MANY high-end shoe brands in my collection now including Salvatore Ferragamo, Prada, Robert Clergerie, Miz Mooz, Stuart Weitzman, Rockport, Clarks, Frye, Blondo, Ugg, Tory Burch, Cole Haan and more! None of these shoes would be in my life without thrifting. 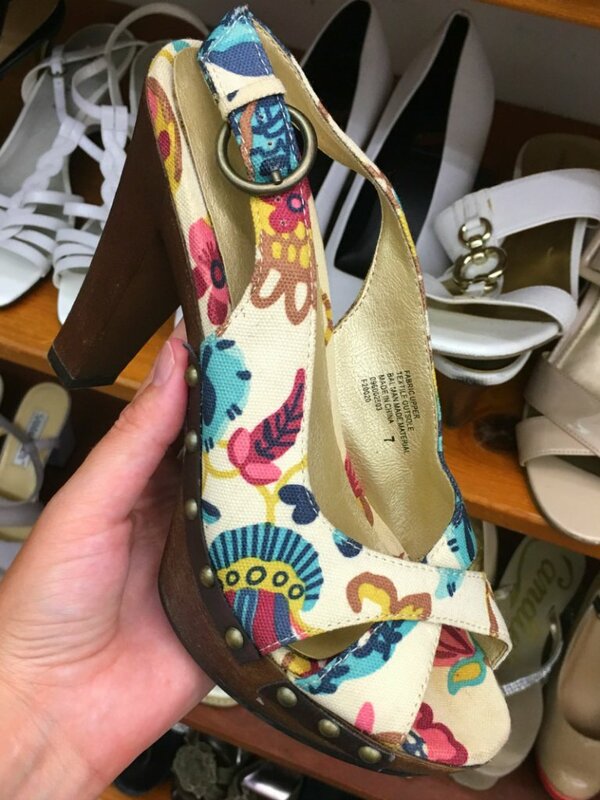 Obviously, the first place to thrift shoes is at your local second hand store! I always check the shoe section first then wear them around the store to gauge comfort. 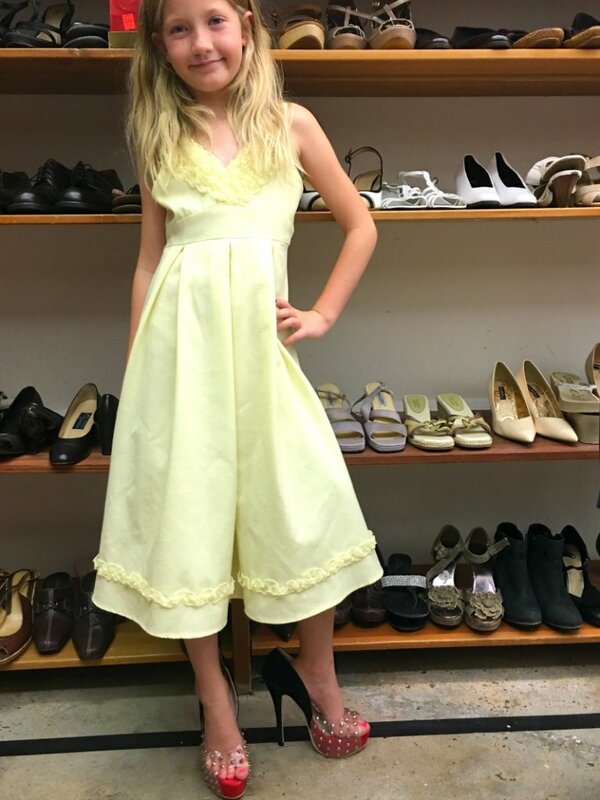 Here are a few shoe pics from a recent trip to St. Vincent de Paul Thrift Shop with my daughter and Elisa. No matter if there aren’t shoes in her size. She’ll rock any pair and walk better in them than I can! Or you might end up with a bad case of Thrift Regret like I have for these silver leather loafers. 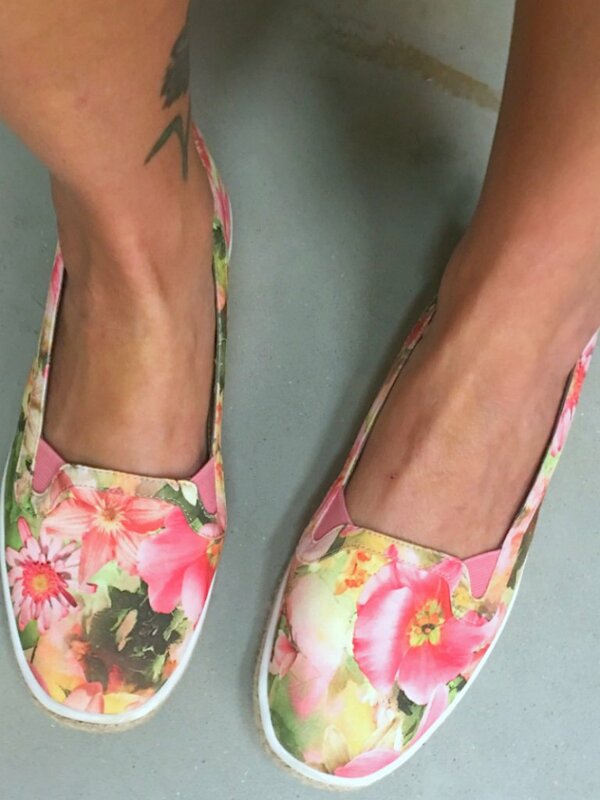 You can also thrift shoes online through Thred Up, Swap.com, eBay and Poshmark with the obvious disadvantage of not being able to try them on, so it’s a good idea to stick with brands and sizes you know fit your feet, and double check the shipping rate and return policy before clicking ‘purchase’! How to clean thrift store shoes? Just like with swimsuits, there isn’t much difference between buying second hand shoes and regular retail shoes, most of which have seen their fair share of other people’s feet before they ever make their way to your closet. You don’t have to thrift shoes which are well worn or in poor condition. Most of the shoes I have thrifted have been new-with-tags or in like-new condition so I have had very little cleaning to do. Sometimes I use a Norwex cloth and water or a little dish soap to clean the outside and/or inside. I have also used a Magic Eraser to remove scuffs. For runners, sneakers and Salt Water Sandals, I just throw them right in the washing machine then air dry. You can buy shoe deodorizer or cleaners and use those if your little ol’ heart desires. I haven’t done this because the chemicals and smells of those products bother me more than the thought of foot germs. You could also switch out the insole if it is removable. For leather shoes and boots, I have used shoe polish and brushes to spiff them up and then apply a weather protector – back in the days of snow and salt. Not exactly necessary in Texas! The bottom line about disinfecting thrifted shoes: inspect them and if you think they’re too dirty or smelly to clean to your liking, don’t buy them. 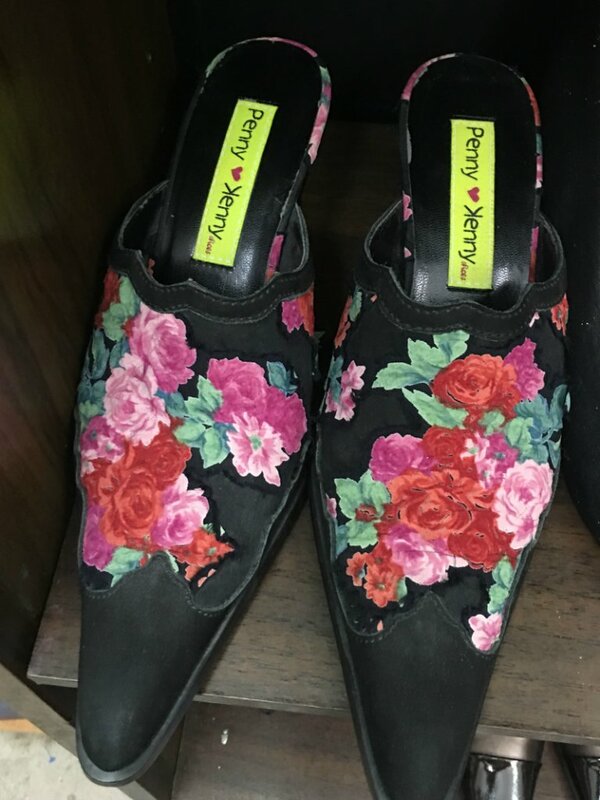 There is no shortage of shoes to thrift so there is no need to compromise on quality. 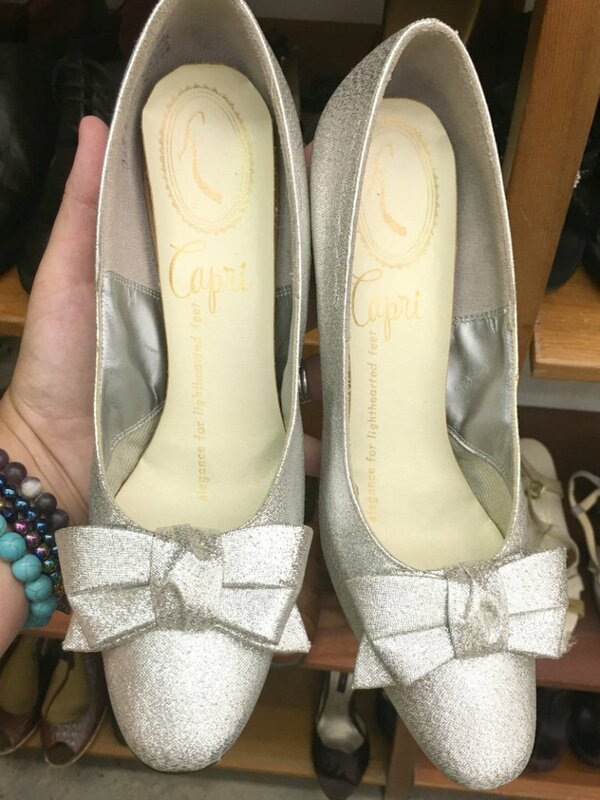 Aside from my blue sparkly Cinderella shoes, these are the most recent pair I thrifted! Hopefully this helps to answer the question, “Is it gross to thrift shoes?” with a resounding NO! But hey, if you are still hesitant, that just means there are more for me! 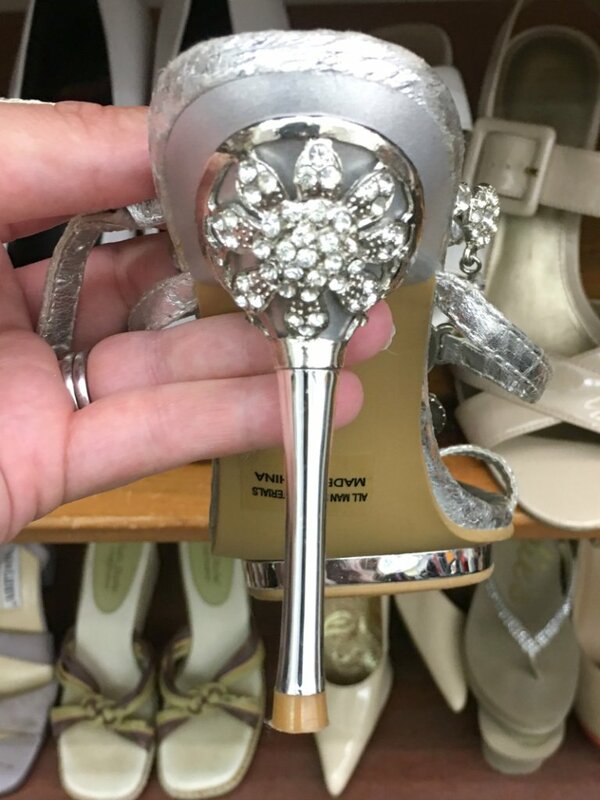 Thrift regret? Is it what you didn’t buy or what you bought and didn’t like? Oops! I did a post explaining Thrift Regret and meant to link it but forgot – I have now added that link! 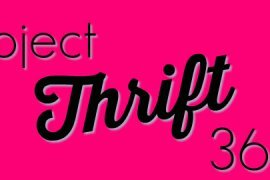 http://thespiritedthrifter.com/what-is-thrift-regret/ Thrift Regret is when you DID NOT thrift something and end up wishing you had, versus Thrifter’s Remorse when you DO thrift something and later wish you had not! Clear as mud! Glad you asked! Thank you! I was going to ask you about cleaning up your thrift store purchases, this is helpful. Absolutely agree that the smell of cleaning chemicals is much more bothersome and harmful to health than potential foot germs! In my sunny, dry climate, a good airing in the sunlight helps disinfect. I also save the silica packets from vitamins to keep in my shoe boxes to absorb smell and moisture. Good idea about the innersole. I like to buy flats an extra half size too large so I can fit a sheepskin innersole in. I have done the same thing with shoes! Great tip about the silica packets and sunlight works for hockey gear (!) so it ought to work for shoes too! I love this shoes. The shoes are so cool!